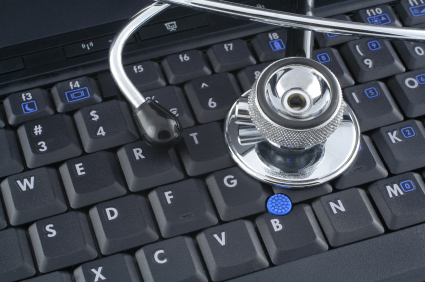 I recently had a physician tell me, point blank, “EHRs are a failure”. He went on to add that [physicians] spend way too much time entering data. That, in itself, isn’t new. The difference is that paperwork has turned into keyboard work, and a lot more of it has to be done in real time, during the patient visit. In 1995, the AMA reported that physician satisfaction with EHR systems had plummeted from 61% to 34% over 5 years. Watching this doctor work, it is not hard to see why: the work was obviously time consuming and awkward, and the computer system didn’t even provide the information he needed. I’m not proposing that we go back to the hypothetical “good old days” when everything was done on paper, but it is clear that we, as system designers and developers, need to do better. Maybe more to the point, attending to the needs of front line health care providers needs to be a higher priority. So much of what happens today has to do with addressing business needs in healthcare (more reimbursements, better analytics, etc. ), and I can understand that – at least to a point. But when provider satisfaction is essentially cut in half we had better pay attention! Even people on the business side of healthcare should understand that this is a serious problem that will affect them, too. So, what can be done? That’s not an easy question to answer. Part of the answer is technical. We can look at ways of improving workflow and ways of improving user experience (UX). We know a lot about workflow, though it hasn’t necessarily been applied to EHR systems as well as it could. A lot of effort has gone into user interface (UI) and user experience research lately. But if you read the literature, it is focused to a large extent on consumers (e.g., shoppers at an online storefront.) Internal users are considered, too, but I don’t think they receive the same level of attention. There is the thought that external customers (shoppers) are liable to leave at any time, but internal users will stay. That may be true – to an extent. But productivity matters, and the level of satisfaction of your staff members matters, as does attrition. Finally, part of the problem is that we don’t know what to do. As IT people, we tend to sit back and think about the way things ought (in our minds) to be.If what our mental model tells us ought to work turns out not to be successful, we are stumped. We may go back to the drawing board and move things around, but it doesn’t help very much. The problem, of course, is that without the experience of practicing medicine, we don’t have a very good idea of what will work and what will not. Unfortunately, healthcare practitioners aren’t really in a very good position to tell us what they want, either. To paraphrase Steve Jobs, they may not know what they like, but they’ll know it when they see it. Is there a way out? I believe there is, and it is applying one of the principles of the Agile Manifesto: customer collaboration. In practice, this principle may be realized though techniques such as rapid prototyping or team programming, but the idea is the same. First, we need to see the provider as a customer. That requires a real paradigm shift, and may be easier said than done. Second, we must be willing to sit down with providers and explore ideas. The exploration needs to be genuine. It’s easy to fall into the trap of simply presenting ideas. That’s not enough. We need to listen, too. Give your collaborator an opportunity to tell you what he or she wants and why. Really listen, and try to find ways to implement those ideas.